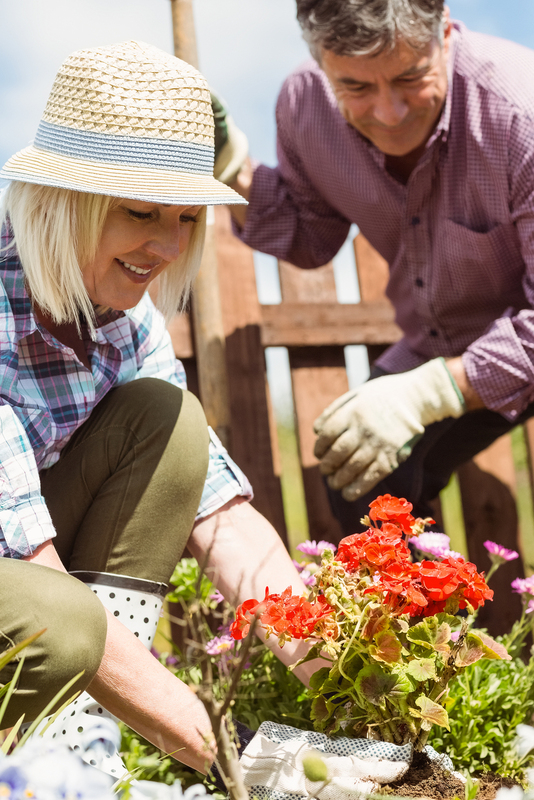 Gloves are not essential when gardening, but they can certainly protect the hands from thorns, splinters, blisters, and stubborn dirt from getting on your fingers and under your nails. In addition gloves protect the soil from drying your skin out. Lastly, gloves also protect the hand from the multitude of organisms that may be lurking in soil, compost or manure. So, although gardening gloves are not essential, they are certainly recommended. There are a multitude of choices when it comes to gardening gloves, but the most important quality in a good pair is that they are well-fitted. Gloves that are too small will not allow adequate hand or finger movement. Gloves that are too big will cause you to grip your tools more forcefully, which leads to stress in the muscles of the hand, elbow and forearm, and can easily lead to injury in these areas. Comfort falls close behind finding a good fit so be sure to try the gloves on before purchasing. Additionally, gloves need to be suited to the task at hand, and often this means making a choice of one material over another. Most gardening gloves used to be made of either full leather or cotton, however they have come a long way from their original start and now most gloves are made from several materials including both leather and cotton. No need to throw out those old standard full leather gloves, however, as they can still be useful for certain gardening tasks, such as heavy digging, pruning large trees, or moving heavy stones. Leather gauntlet gloves are also an appropriate choice for these tasks. Gauntlets are heavy duty gloves that extend up towards the elbow providing further protection to the wrist and forearm. These are also perfect gloves to provide protection from nasty thorns during rose tree pruning. Most plain cotton gloves have been replaced by cotton gloves which have been dipped in latex or other waterproof material which covers over the palm and fingertips. These gloves are recommended to protect your fingers from the moisture naturally associated with gardening. The waterproof material that the pads of the fingers and palm of the glove are often textured to provide further grip. Other non-necessary but lovely additions to consider when buying gardening gloves is padded palms for added comfort, a terry-cloth type brow-wiper on the back of the glove, velcro tighteners at the wrist to prevent dirt from slipping in, and ones that are machine washable for easy cleaning! Whether it be a hand rake, a hand hoe, a hand cultivator, pruners, or a trowel, having a few small garden tools are necessary for any garden. There are several different brands available of the same tool so be sure to try the tools out in the store before buying them. Grip the tools in your hand to ensure you like the feel of the handle itself and that you can comfortably hold onto the grip while adding pressure to the working end. If you have pre-existing hand pain, or chronic gripping issues, ergonomically designed handles are available which ease the pressure in specific areas of the hand and thumb. Keep your tools sharp in order to decrease the amount of force you need to work with them, and as with any tool, clean them promptly after use and then be sure to dry them promptly in order to preserve the life of the tool. Although endlessly searching for your tools in the garden won’t likely invoke an injury, the time wasted can be deeply annoying, so one idea is to paint the ends of your hand tools with a bright colour or wrap them with bright tape in order to be able to find easily. Again, it won’t prevent an injury, but it could lead to a less frustrating gardening experience. Large garden tools such as rakes, shearers, shovels, hoes, and spades are the hallmark tools of a gardener. As with the small garden tools, there are several varieties available for each tool so be sure to shop around for a tool that feels right. There are many tools with ergonomically modified handles made to fit your grip more comfortably and decrease the force you need to exert through the tool in order to get the job done. Long handled tools are available for tall gardeners, and are highly recommended, in order to save strain on your back from leaning forward for excessive periods over a short handle. As mentioned under hand tools, maintaining your large gardening tools will not only extend their life, but will decrease the amount of force you will need to use the tool. This in turn decreases your chances of developing an injury. Wash your tools well after use and dry them thoroughly. Wooden handles can be protected from splintering as well as fading by applying a light coat of linseed oil or a similar product. Always set all hoes, rakes, and other tools with horizontal teeth or blades face down on the ground when not being used to avoid either directly stepping on the teeth, or as seen in the classic Hollywood movies, to avoid stepping on the teeth and driving the handle of the tool up into your head! Gas powered tools such as a weed-eater or a lawn mower are often essential to keeping parts of your garden well maintained. The key to using these items is keeping them well maintained such that a faulty machine does not become an injury hazard to you. Blades should be kept sharp, gas tanks adequately full, and any operating problems should be acted upon quickly. It seems simple, but remember to always turn off and unplug any machinery before fiddling around near the working end. A wheelbarrow isn’t necessary for all gardening tasks, but if you are a serious gardener, you will most likely have one or at least have easy ‘borrowing’ access to your neighbours! 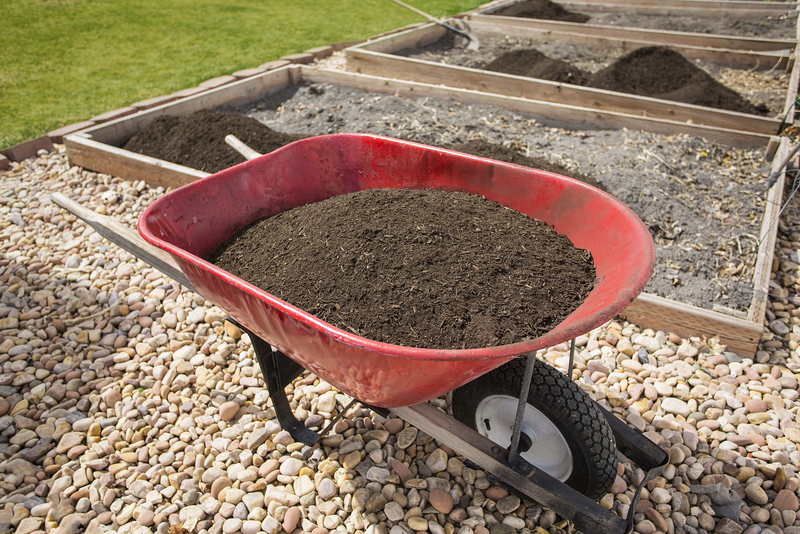 If you haven’t yet purchased a wheelbarrow, there are a few key things to keep in mind as there are a number of different choices out there and choosing the right one may mean the difference between an easy gardening task with no injuries and a difficult task that ends in painful suffering! Wheelbarrows are generally made from either a plastic or a steel material. Steel wheelbarrows are generally sturdier however they tend to be heavier and create more noise when loading items into them. Plastic wheelbarrows are lighter on the back, and generally also on the wallet! The size of the tub you buy will depend on your needs; obviously a smaller wheelbarrow will be easier to maneuver however if it means you will be making three or four more trips because it isn’t big enough, you may consider upgrading to a larger tub. Traditional wheelbarrows have one wheel at the front allowing for easy maneuverability and require moderate strength to handle when full. There are also wheelbarrow designs with two wheels mounted close together at the front. The two-wheel design provides more stability when both pushing the wheelbarrow and when setting it down to rest, so would be recommended for anyone who has a history of back pain, or for older gardeners who may struggle with controlling the single wheel design. Lastly, when making your choice of wheelbarrows you can choose one that has a wheel filled with air (pneumatic) or one that is not. Pneumatic wheels can go flat, which will need to be monitored as a tire even mildly low of air can significantly increase the effort you need to put in to move it. A non-pneumatic wheel is basically a rubber ring. Although it won’t go flat, you do sacrifice some smoothness in the ride. A semi-pneumatic tire is a rubber wheel with some air pockets built in to assist with how it rides, but the wheel doesn’t require pumping so you get the best of both designs.